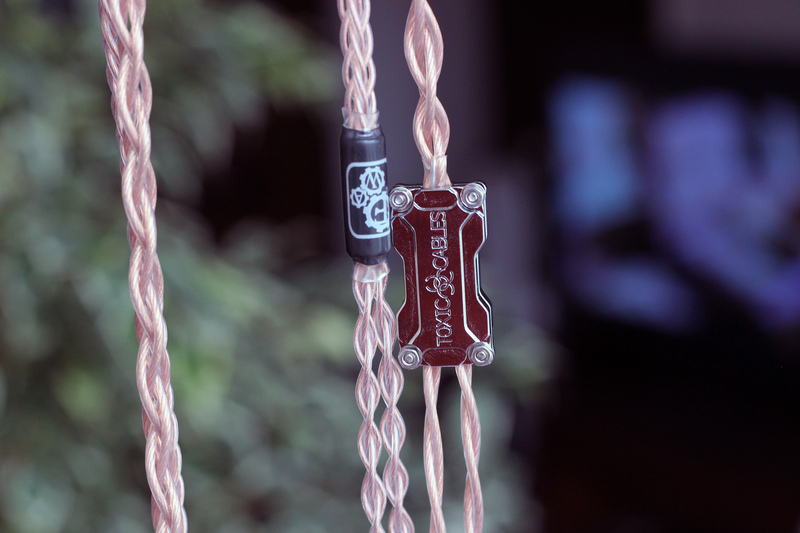 Since a while now, I’ve been looking for a good aftermarket cable for Sennheiser HD800. Luckily, I have a friend that has 3 of those and he was kind enough to lend them to me. The tests have been done with Decware Taboo MK3, Burson Conductor, Audiobyte Hydra-X, Sennheiser HD800, Audio-Gd Master 9, MSB Analog Dac and AG500 Power Regenerator . Most of the tests have been done on the Analog Dac + Master 9 combo. 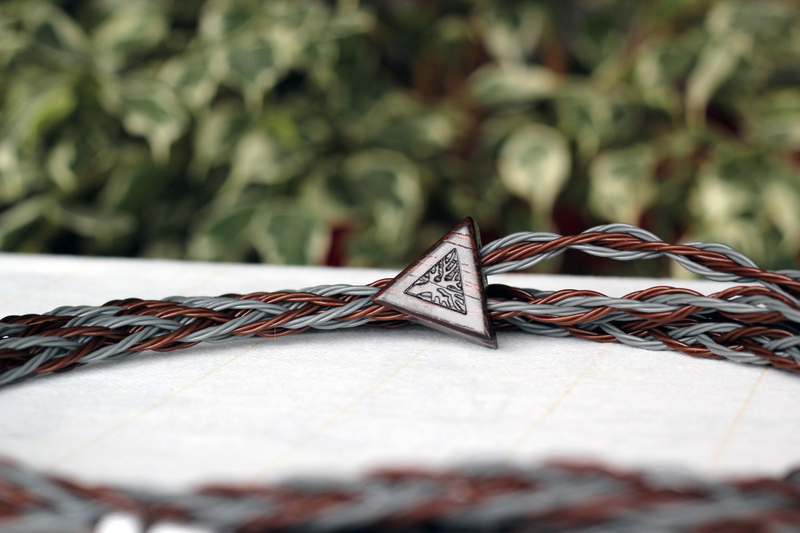 The connection between them was made by a Kimber Kable Silver Streak which I found to be extremely transparent and detailed. Remember when I said that cables should be your last investment after you’ve set up your entire system? One of the reasons for that is that you will hear a lot more differences with more transparent systems. The differences between the cables were extremely easy to spot in this system, especially tonality wise. I’ve been lurking their website for a while now. They seem to make quality cables at decent prices, considering the materials they are using. For example the Claire HPC MK2 is made out of highest purity, 8 strands of 26AWG cryo 7N UPOCC copper wire in Litz geometry and PE insulation. The build quality is quite good. It also looks nice and is very lightweight. It’s the thinnest cable between the three. 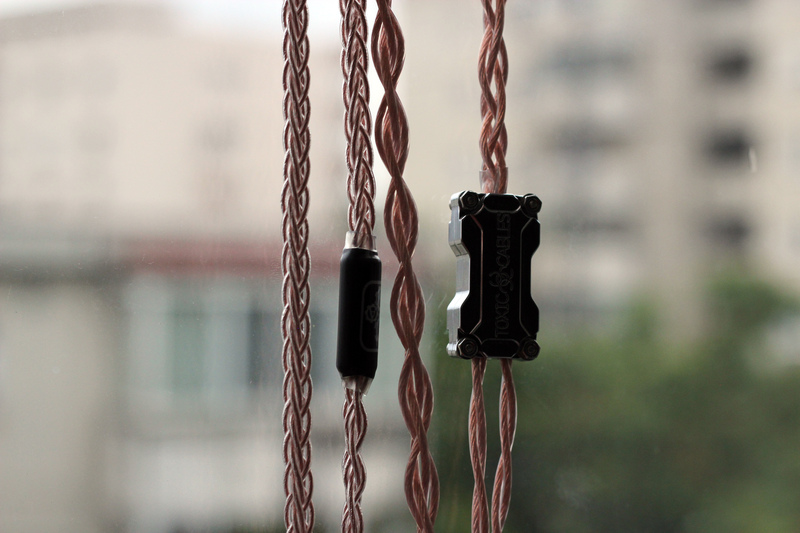 It’s structure offers very low microphonics compared to the stock cable. Lets get to the sound, shall we? I have came to the following results comparing it to the stock cable. This is the first thing I noticed compared to the stock cable. The tonality became more natural and warmer. Considering that we are talking about HD800, I consider this a good thing. The sound seemed to miss the grain from the stock cable. It had better continuity, leading to a more transparent sound. I’ve also noticed the instruments to be more detailed and more apparent than on the stock cable. Their extension was fuller and more natural. This is another aspect that is easy to hear. The bass became more powerful and with better depth. The voices become fuller and better textured. They have better presence and seem more natural to me. All the plucks and instruments were more apparent and easier to hear, even at lower volumes or deeper in the background. The transients are slower than with stock cable but I find this better with HD800, leading to a more relaxed and analog sound. Overall, I found this cable to be a good choice coming from the stock one from HD800, and a very good match for it. It offers a relaxed and natural sound. The instruments, voices and all the sounds have more body and better textures than the stock cable. It also clears up the sound offering better transparency and details. I tested and I own some cables from Toxic Cables and they made a very good impression in the past with their Silver Cables. Both Budget Silver and Silver Widow make a great pairing with Audeze headphones and are one of the most transparent and detailed cables I have ever heard until now. The Black Widow is the first copper cable I have tested from them. The build quality and looks are exemplary like I expected them to be. Actually, I consider this to be the most beautiful cable between the cables in this test. 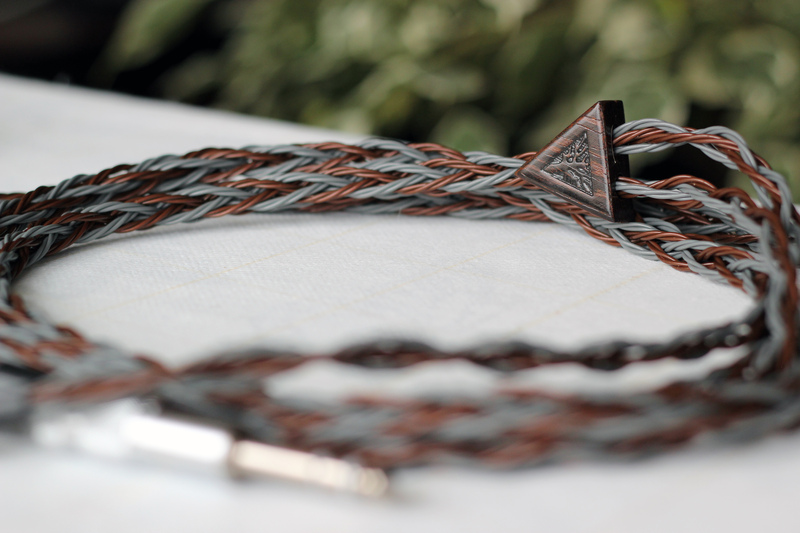 Tastes may differ, as the friend that lend them to me likes the Norne cable the best. 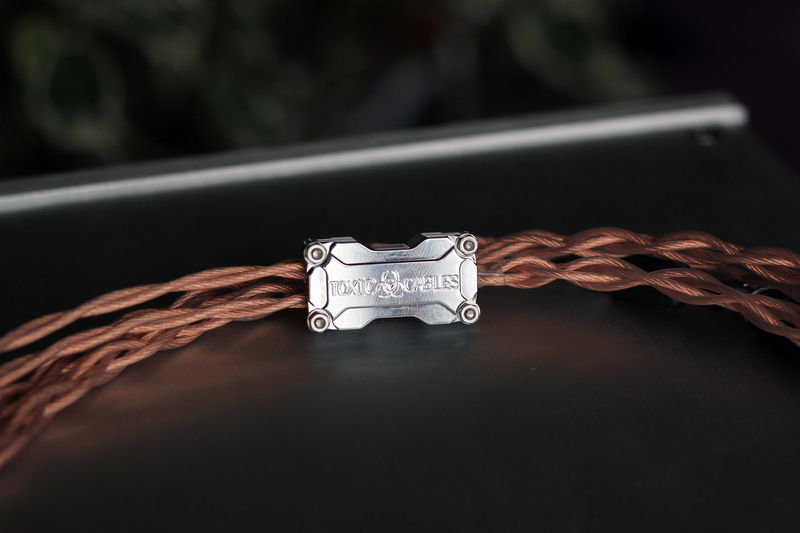 The Black Widow is thicker than the Forza cable and has a shinier look as you can see the copper inside better. This is also a cryo treated high purity UPOCC cable, but it’s thicker being a 22 awg cable. Sound wise, it was more energetic and more detailed than the Claire Mk2. It offered a more explosive / aggressive sound signature. I have came to the following results comparing it to Claire Mk2 . The bass seemed punchier and faster on Black Widow, Forza having a slightly deeper bass, making the sound a little more organic from time to time. However, I tend to go in Toxic’s camp, as I love it’s exploding bass. The Black Widow gives a more “in your face” presentation than Claire, moving your sit a few rows further to the scene. The plucks on the instruments are more apparent and the sound is overall more energetic and aggressive. The transients have a great exploding attack. While not fast as a silver cable, they are very energetic and fun with Black Widow. The decay is faster than with Claire. The instruments are more apparent on the toxic cable than on Claire. They even managed to struck goosebumps, as the violins, guitars, harps, cellos, etc. have a very good presence and texture and you can feel them in your body, giving me the chills. Because of the forward character of the Black Widow, the sound becomes more tactile and as I said before you can feel the instruments and voices better. So, as you can see, this was a very fun cable to listen to. I like the more relaxed presentation of the Forza cable, but I tend to be more attracted to the more exploding, energetic and detailed presentation of the Black Widow. 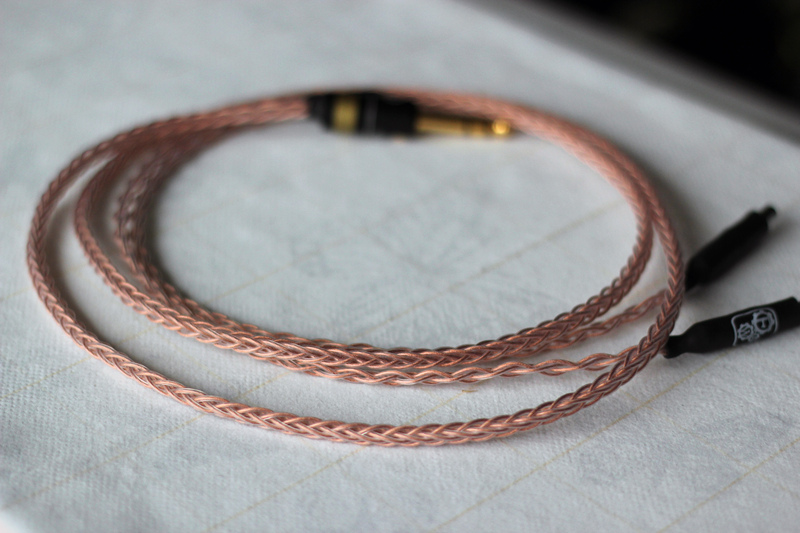 I consider it to be one of the best copper cables I have ever heard, and I think it would be a very good combo even for Audeze headphones, as it’s a very energetic and tactile cable, not a slow one at all. And this is the monster of the test, the thickest of them all. It’s build quality is excellent as well. It looks the sturdiest of the bunch and I consider it to be very handsome. 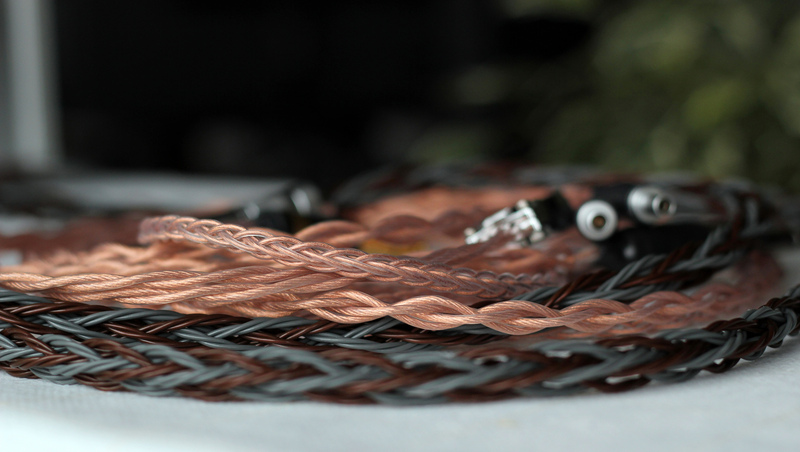 It’s made of 8×24 awg highest purity occ copper. When I’ve first put it on, my jaw dropped on the floor. The bass with this baby is incredibly deep and leads to a full and meaty sound, something I’ve never heard on HD800 before. The sound signature is very different compared to the other two. It’s actually like listening to some kind of revision of HD800. The bass with this cable is amazing. I never thought I would say that HD800 would have full meaty sound, but with Draug that just happened. The bass gets incredibly deep, something I’ve never heard on HD800 before. It also packs quite a punch but not as powerful and energetic as with Black Widow. The tonality is very analog like with a relaxed presentation giving the sound a very natural feel and presence. I found the voices to be the most impressive on this cable compared to the others. They have the fullest tone, best presence and excellent extension. Draug seems to have the best soundstage with the most opened sound between the 3. The sound goes deeper and further in the scene. The details are not generally as apparent as with Black Widow, as they are a little more subtle. With this cable you are sent a few rows further back in the scene. However, the instruments seem to have a fuller extensions with a more natural decay giving a more life like experience to the instruments and sounds in general. Even if not as exploding as on Black Widow, the attack is fairly good and packs a very good punch. At first I thought it was a slow decay, but I’ve realized that this is the most natural decay I’ve ever heard until now. 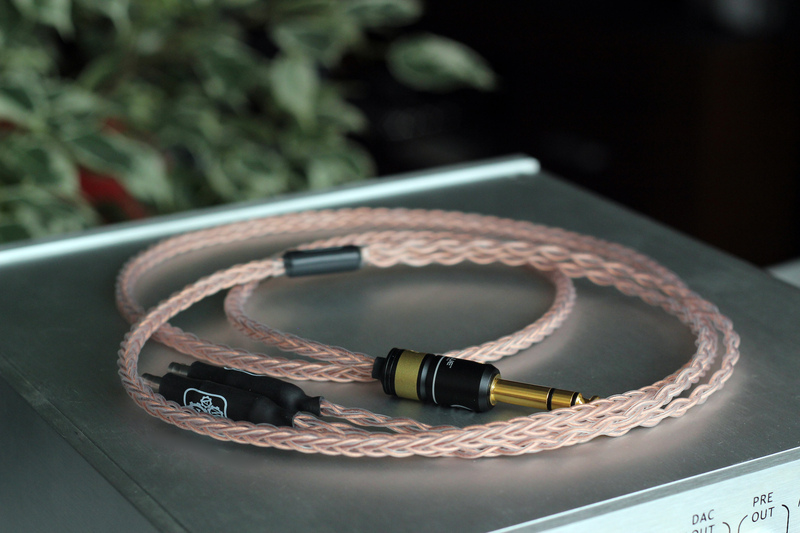 This cable gave me the feeling of a very clean sound and it seemed to have the least grain compared to the others. Even if you are a few rows further back, I love the fact that the all the instruments are full of life and are felt with impact even from even the farthest layer . 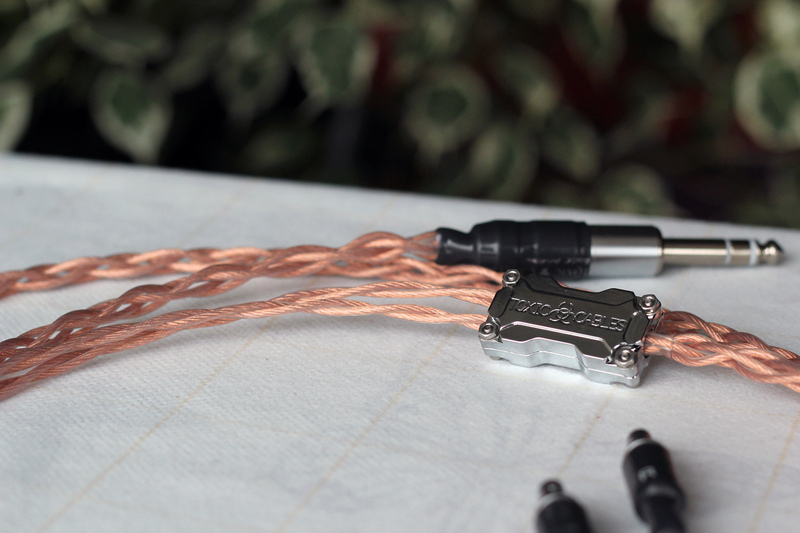 I must say that I love this cable, as it gave a very analog and lush feeling to hd800. Don’t get me wrong, this cable isn’t very slow or something like that. It just gives a more relaxed and natural presentation to the sound. I’ve never heard HD800 to sound so organic. This is one of the best or even the best match for HD800 that I have heard to date. However, it’s very hard to decide between Black Widow and Draug, but in the end I would go with the latter. I love them both as they give extremely different flavors to the sound. As I said before, it’s like listening to two different revisions of the same headphone. I know that cables shouldn’t make so big differences, but well…they do. I felt like all the cables were very good and each one offered something new compared to the other two. This could also be a game of preferences. If I were to pick a cable, I wouldn’t know which one to pick between the Black Widow and Norne Draug, as I liked them both very much, each of them having something very special and strong points. These being said, Claire is a very good cable too, but it doesn’t catch your attention like the others ones. However, this may not necessarily be a bad thing, as it offers a very relaxed and pleasant sound too. I consider all the cables in this test to be worth my recommendation and I hope that I gave you an idea which would fit your tastes better. It seems it was upgraded to version 2. Talk to Frank directly at info.toxic.cables@gmail.com . I used normal HD800 connectors (from website) and 4 pin neutrik xlr. Would be interested to know the results if you do. Thanks. You are talking utter bollox on cables. Microphony is utterly impossible on a low impedance device and I challenge you to tell the difference between any cable on a back to back blind test. Dude. That is your opinion. I am sorry that you cannot hear the differences. I have done blind tests. I can recommend some hearing tests to you, though. I am sick and tired of you people and your agressive approach. I don’t care what you think when my experience showed me otherwise. I am not going to continue this discussion as it doesn’t deserve my time. Cheers. That makes me laugh. I assume you don’t make the recordings which we make and you listen to. Have you ever seen some of the square wave and frequency responses on those headphones you think are so great? You clearly love distortion, and you can’t understand what colouring is about, so how on earth can you have a valid opinion on cables, which show ZILCH difference on proper scientific equipment. I do think measurements are very important, but not the final say. When I test the headphones and other equipment, I am looking for a lot of things in the sound reproduction like naturalness, dynamics, details, transparency, tonality, voice reproduction, etc. What I write is my true opinion about the product, and I don’t have any interests to do otherwise. If you noticed, I don’t have any ads on the website and I don’t make any profit out of it. While I’m not going to comment on the rest of your statement (being a firm believer in the science behind cables – conductance, capacitance and resistance being valid reasons for an alteration of sound). I will be annoying and quibble on your ‘microphony is utterly impossible on a low impedance device’.. Yes, ‘microphony’ as it is properly used is *electrical* noise transmitted via standard cables. It seems that the term ‘microphony’ is being used to describe the transmission of *mechanical* noise and its attendant vibration and intrusion into the headphone. e.g. scraping sounds or the echoing tap if you knock the cable against the edge of a desk. Hey, could you please post the actual data from the blind testing? 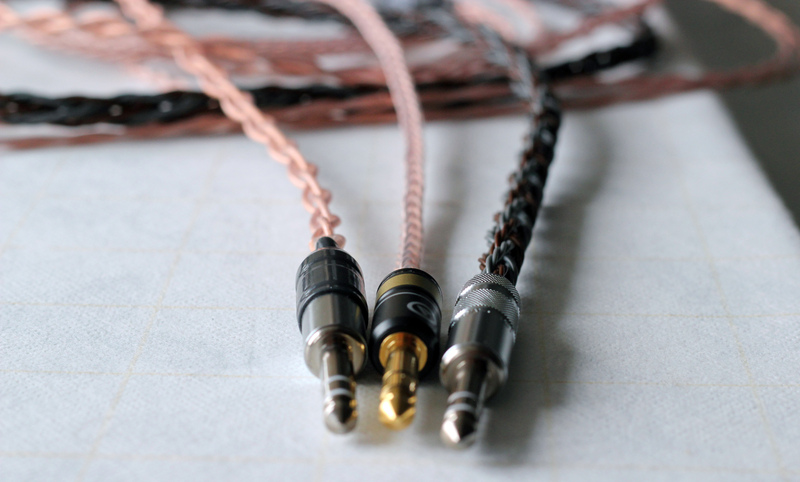 Also, the experiments done by InnerFidelity show no measurable differences in aftermarket headphone cables, and the conclusion he comes to is that no measurement equipment available can capture the subtle differences offered by cables. He doesn’t go as far as to say whatever differences he hears are merely placebo effect, but he has gone on record to say he is a “believer”, without making any bold claims of scientific validity. One example of a statement that bothers me is that you say that one of your tested cables gave your HD800 unprecendented bass extension, something that my rational side tells me *should* be measurable. Is dramatic increase in bass extension and fullness not something that can be detected by test equipment, and why? I don’t have time / equipment to measure and find a scientific explanation for all my findings. Indeed HD800 sounded at its best with the norne cable. Also have lots of friend who came to very similar conclusions. Now as I said before, HD800 sounded at its best with that cable, however don’t expect it to turn into planar magnetic bass or something like that. I would love to have the time to invest into explaining why this happens, but for now at least, I don’t have that luxury. I just write what I hear, and I trust my hearing very much . Based on this review I spent a lot of money to buy the Draug cablee for my Sennheiser HD800s. After careful back-and-forth listening to the Draug vs. the original cables it’s perfectly clear that there is no discernible difference. None, zilch, zero. Your review is very misleading, and I think you know it. I should have trusted those who argue that claims that these so-called upgrade cables dramatically improve the sound are either knowingly deceiving the public or self-delusional. Shame on you for publishing a fake review like this. Don’t fall for this scam. I am sorry you had that experience and you couldn’t hear the differences. On my side I stand by my words. Even my wife heard the differences with the cable, and she is not an audiophile. Not to say that all my friends with hd800 bought the cable and were very happy with it. I have nothing to gain by writing anything else but my true impressions and opinions. By the way, I have spent a lot of money on the cable for myself as well 🙂 . You may not know this, but headmania is not making money at all. Just my hobby where I write my impressions. Sorry for your experience but you are the first that tells me that. I have a group of 4 friends that owned/own hd800. All 5 of us heard the cable and loved it. 4 of us that still owned hd800 at the time, bought the cable. By the way, what gear did you use with HD800? 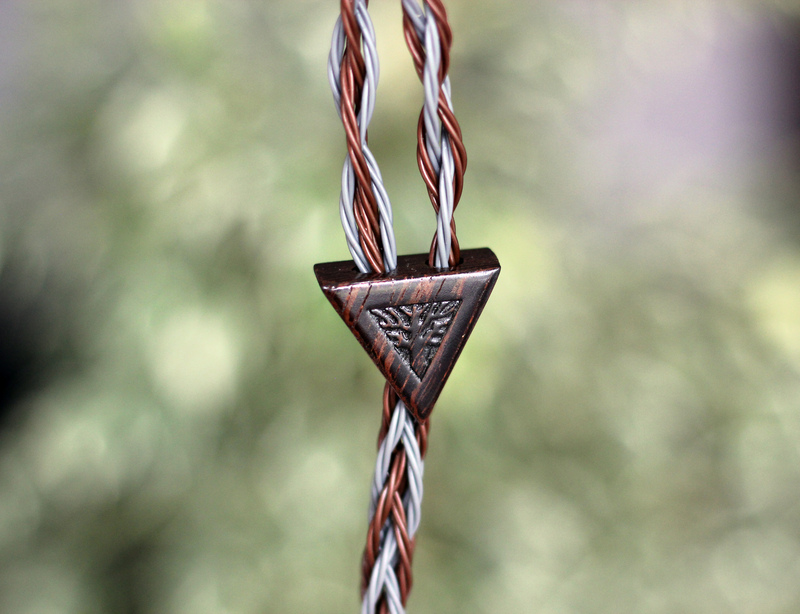 Does the Norne cable require a burn-in period to sound its best? Long time ago, but didn’t notice too much of a difference with burn in.